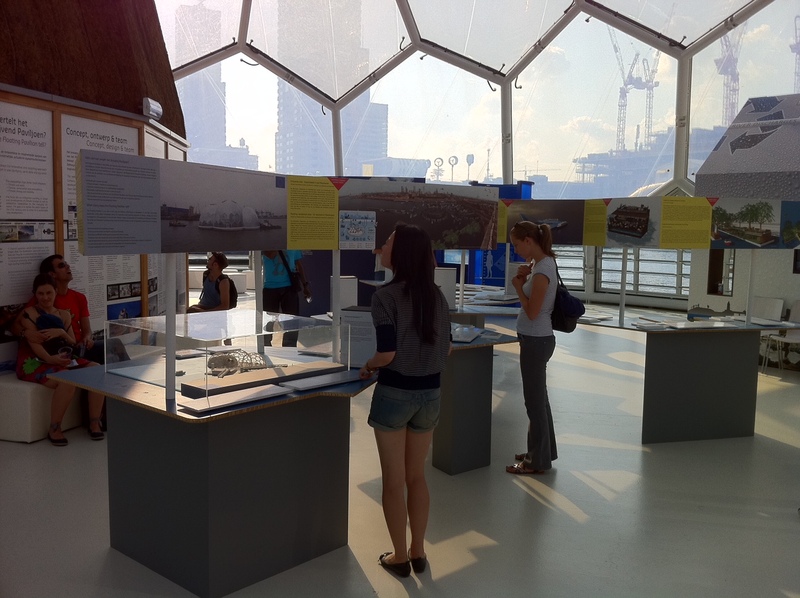 The Exhibition Floating Architecture can now be seen in the Floating Pavilion in the Rijnhaven in Rotterdam. The exhibition moved from the Coolsingel to an appropriate floating building! Fitting very well in the Rotterdam Climate Initiative, plans for floating houses and floating buildings, like schools and greenhouses, are shown. The ambition of the Rotterdam Climate Initiative for 2040 is to build 13.000 climateproof houses, of which 1200 will be floating. The idea of floating buildings is perfect in terms of adaptation to climate change. At the same time it mitigates climate change as floating on a large body of water gives ample opportunities for sustainable forms of heating and cooling of the buildings. Photo by Waterarchitect. Click on the thumbnail left for a full size picture. 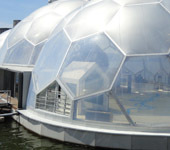 Ricardo, the Floating Pavilion is in Rotterdam. If you have questions about opening times and about what can be seen, go to http://www.drijvendpaviljoen.nl. The website is in Dutch, but under “contacts” you can easily find where to put your question. They’ll understand English and possibly Spanish too.